Mary Cooper: You understand that some people are gonna be intimidated by you ’cause of how smart you are? 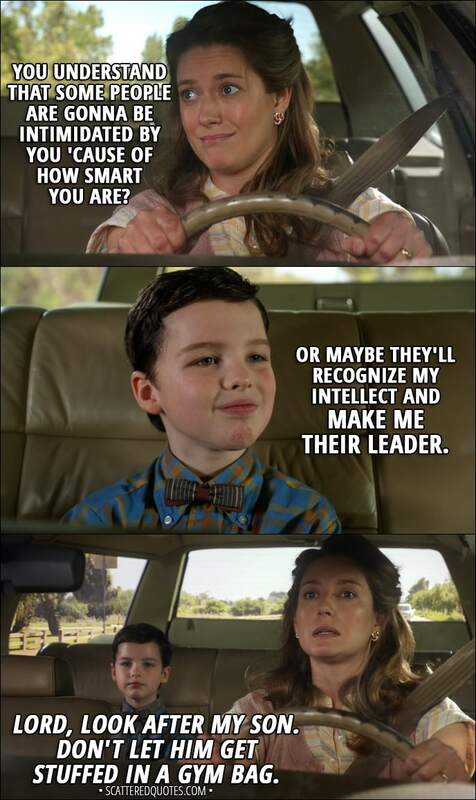 Sheldon Cooper: Or maybe they’ll recognize my intellect and make me their leader. Mary Cooper (mumbling to herself): Lord, look after my son. Don’t let him get stuffed in a gym bag. 5.11.2017 Lord, look after my son. Don’t let him get stuffed in a gym bag.